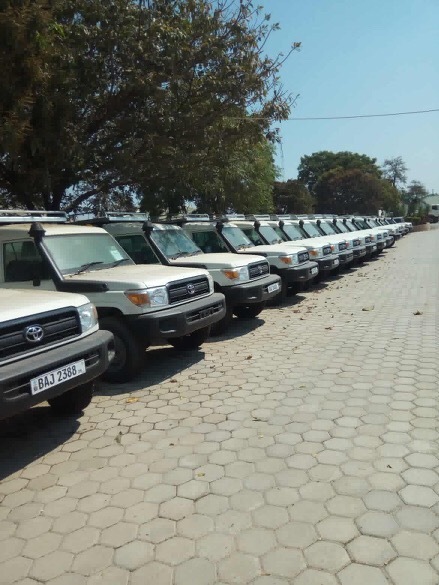 The PF regime has procured 115 Land cruisers for medical stores at a cost of $32, 000 each. This is the correct value of land cruisers not that theft Chilufya Chitalu is in the process of stealing from Iveco South Africa at $288, 000 each just because it contains a bed and basic surgical equipment. The vehicles have been given private BAJ number plates and are currently parked at medical stores headquarters pending hand over ceremony by health minister Chitalu Chilufya. Meanwhile, Medical Stores managing director Chiputa Mbewe, a PF cadre has written to MSL employees informing them that the institution has gone bankrupt and will soon dismiss all permanent staff through ‘voluntary separation’ and those who wish to rejoin the institution will be required to reapply.